COVER STORY: White (right); Beyonce gracing the July 2011 cover. Weeks after her surprising exit as Editor-in-Chief of Essence, the world's leading magazine for Black women, Jamaican-born Constance White has spilled the details on the behind-the-scenes drama that culminated in her departure last month. "I went in there with passion and excitement and high expectations," White tells Journal-isms, referring to her 2011 hiring. "It wasn't what I expected at all." "I had a certain point of view about Black women being central to this magazine. The boss didn’t agree with me, and the president didn’t agree with me," White says, referring to Michelle Ebanks, president of Essence Communications Inc. "It became an untenable situation." 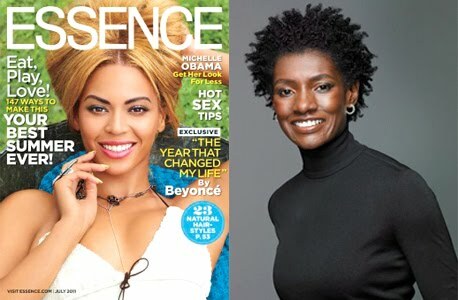 Essence, which was originally Black-owned and run by the Black community, has not fared well since being acquired by Time Inc. and has seen the exit of several top-level editors over the course of the last few years. "I was not able to make the creative hires that needed to be made...The reader is getting lost and the reader has to be at the centre. To make their world smaller is unacceptable," White explains, adding that Time Inc's editor Martha Nelson vetoed such pieces as a look at African-American art and culture. "A lot of the readers have sensed what is happening." The final 'tug of war' came in January. "My boss said, ‘You know what? It’s time to go.’ I was asked to leave my position. I asked, ‘Was it something we can discuss, or has the decision been made?’ She said, ‘The decision has been made.'" White, a veteran journalist with the previous stints at the New York Times and Elle, was style director, brand consultant and spokeswoman for eBay when she was tapped to lead Essence. The publication announced White's departure, after two years, in a statement on Feb. 8. 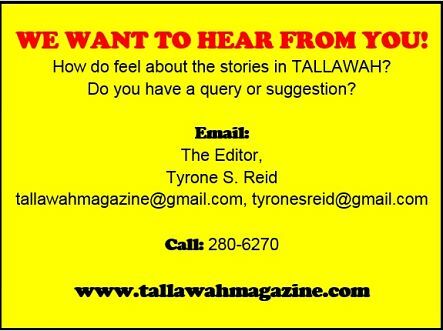 White maintains that the magazine needs solid vision if it is to move forward and prosper in this harsh economic climate. "Essence needs stability and the brand needs a leader with a vision," she says. "Black women are social leaders, cultural leaders. We are aspirational and spiritual. Black women deserve the best. Essence is the last place where Black women should be demeaned and diminished."